In the past four months, I've had several people find my site through a google search for "montbresia" or "picture of montbresia". 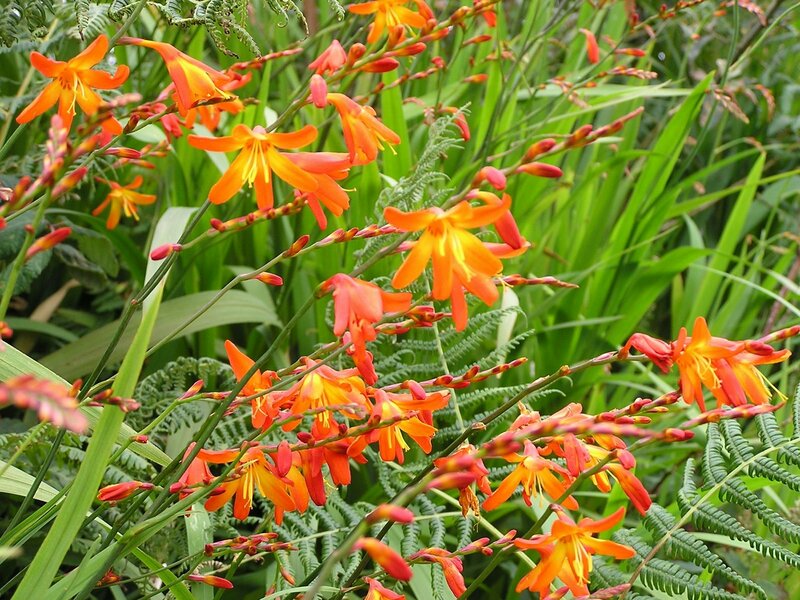 Although I mentioned montbresia in my post on the Dingle Peninsula, I didn't include a photograph. I was going to suggest trying the image search function of google, but when I did the image search, there were very few pictures of montbresia in the results. 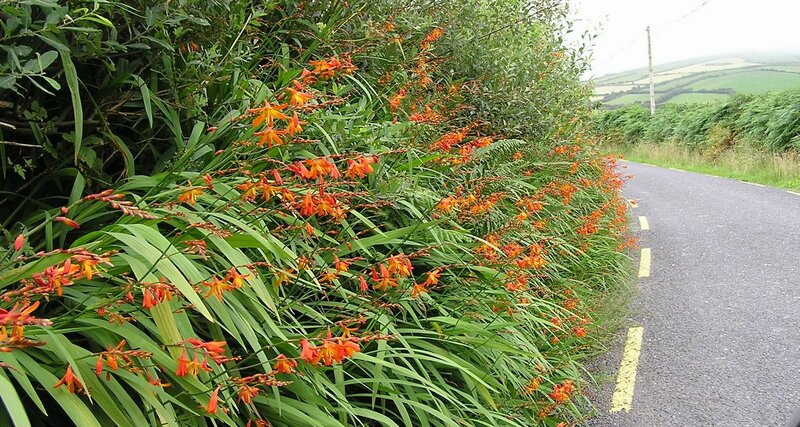 I couldn't do anything less than post some of my pictures of the montbresia we found growing all along the roadsides in Ireland, especially on the Dingle Peninsula.